Linda Peka joined the University of Exeter in September 2005. An accountant with around twenty-five years in the public sector, twelve of which have been at a senior level in Higher Education, she is experienced in management, leadership, finance, audit and governance. 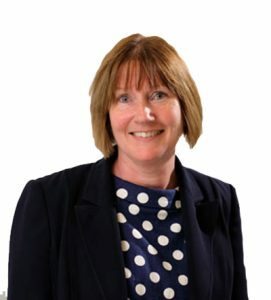 Linda currently manages the College of Life and Environmental Sciences, a business unit within the University with an annual turnover of circa £70m and a research portfolio of over £24m. She is a member of the University’s Senior Management Group and the Leadership Foundation. She is responsible for interpreting university strategy into the College’s strategic and operational management and for fostering a culture of continuous improvement. Linda’s remit also includes the overarching role of Director of College Services. Within this role, she is responsible for the overall leadership of college operations and ensuring the University’s Professional Services resources are fully aligned to colleges’ strategic and operational priorities. Linda is also an external member of the Royal Academy of Music’s Audit Committee. Linda is a Fellow of the Chartered Institute of Public Finance and Accounting and holds a BSc (Hons) in Sociology.